wielded with two hands due to its weight. to attack in swings or thrusts. Found on a corpse in Undead Burg, on the bridge that the Hellkite Dragon occupies. 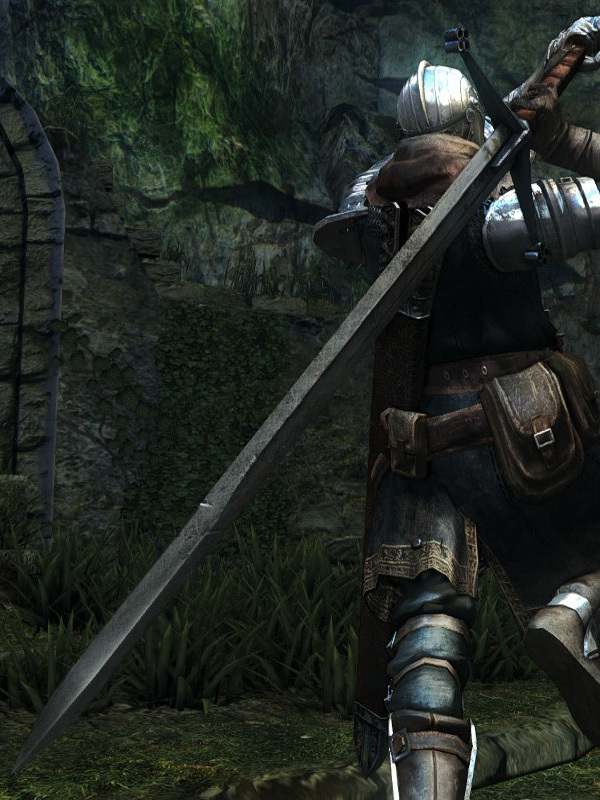 The Claymore is an excellent weapon for STR/DEX builds, as it has reasonably low requirements for both stats. Just like a straightsword, its one-handed thrust attack has a higher attack modifier, and can do higher damage than the Attack Rating might suggest. One-handed strong attack is replaced by a strong forward thrust (like the straightswords' but somewhat slower). Claymore durability reduced to 20. Base damage increased. Cannot repair weapon (except through reinforcement). 1. When two handing this weapon, only 11 Strength is required.